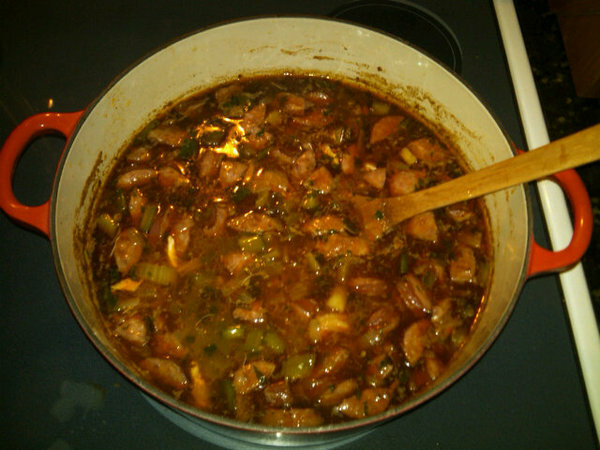 Gumbo is a great meal idea that combine a ton of great ingredients together. It’s also a dish that pairs real well with a hearty beer. We actually made this last November with some of the last remaining cans of Fest. But since our Bock is due out this week we decided to try it with that. 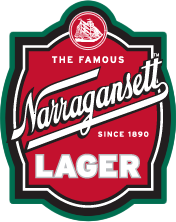 So grab some Gansett bock this week and make a nice pot of Gumbo. 1. Roux: Combine butter and flour in large cast iron dutch oven. Cook over medium heat, stirring slowly and constantly for 20-25 minutes. This should eventually turn into a chocolate color. 2. Add onions, garlic, bell peppers, celery, salt, cayenne, and bay leaves. Cook, stirring occasionally, for 10 minutes (or until soft). Add broth and stir to blend; simmer for 15 minutes. 3. Add Fest/Bock, shrimp, crab meat, kielbasa, and cook for 10 minutes. Reduce heat to low, and add parsley and scallions. Cook for 3 minutes.